Hi! My name is Evelina Kirilova. I was born and grew up in Bulgaria. I was 35 when I almost died in a fire in Italy. But it took me 48 years to figure this out. The most important thing in life is not how many material possessions we have collected, but how much of our inner talent we have released. We cannot pursue success. Success comes to us only when we bring value into other people’s lives and see the joy and happiness in their eyes. I believe in living here and now. I think that love, passion and fun are the real forces in the world. Positive words, thoughts, feelings, emotions, visions and actions move us forward and help us make our dreams come true. Each negative word, thought, feeling, emotion, vision or action brings us further from our purpose, dreams, and everything we want. Until age of 37 I was so obsessed by my ambition for success, that I simply did not leave any space for experiencing true living. Day after day, my days were full of tasks, my mind and body were overwhelmed and my spirit was hungry. I grew up being taught that happiness will come with the next material thing I buy or with the next promotion at work. I was judging people not by their heart or character, but by their bank accounts. Not that I was a bad person, but I simply didn’t know the meaning of true living. Every morning at 7.30 I was walking into the big corporate building. At 5.30 pm I was walking out tired after a long day of hectic work. I was going home, doing the house chores and taking care of my child. This lifestyle created the habit in me, to focus on work and solving the company’s problems. I didn’t have time to think about how I feel, to think about my own heart, desires and dreams. That’s how I spent 10 years of my life. At one point I started feeling that something inside of me was dying – I had no progress or growth. I saw an announcement for a higher position, where I could apply with a test. I needed certain computer skills, so I took some lessons and I studied at home in the evenings. I was very proud of myself. However, despite my efforts, I was not approved for the higher position. I continued working the old way, until one day they told us that the company will be sold to a big international corporation. If we wanted to keep our jobs, we needed to speak English perfectly. Also, the new owners wanted to work only with people under 35 and there were going to be lay-offs. I was 34 at that time and this made me think if it was worth to continue this path. I decided to leave the company voluntarily. Something inside of me was telling me that I need a change. My colleagues and family were telling me that I have to stay. However, I followed my gut and left. This way I became unemployed. My daughter was growing up and her dreams and desires were growing with her. All of them were quality dreams and I wanted to help her as much as possible to achieve them. 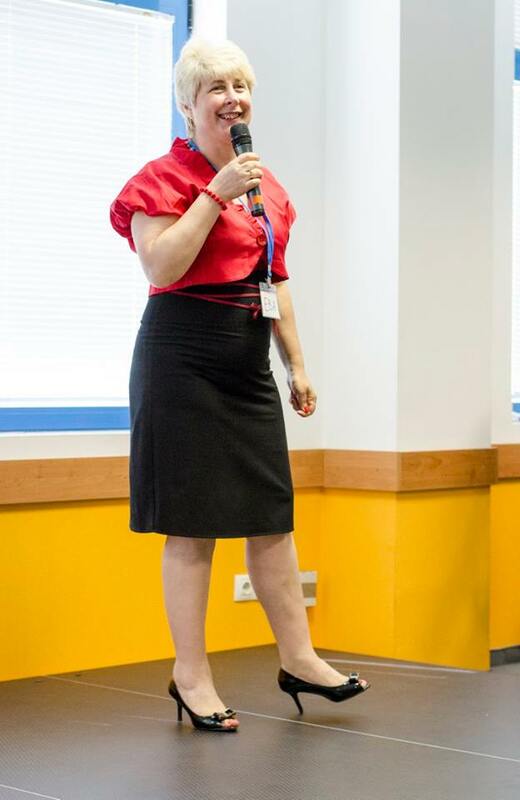 I believed in her and her dreams unconditionally, but I didn’t believe that I could help her if I had a regular job and a regular salary in Bulgaria. This is why I decided to go to Italy and work there for a while. My daughter was 14 then and her father and grandmother were taking care of her while I was away. I went to Italy where my cousin was settled. 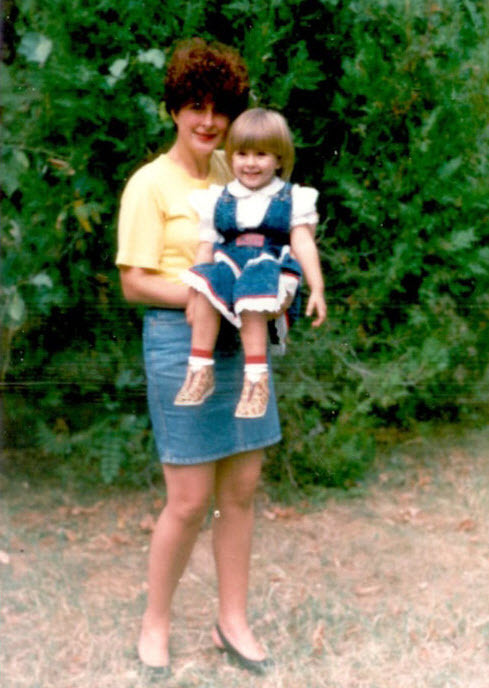 She helped me find a job and I started working as a furniture restorer, which did not require knowing Italian. After 3 months my daughter started asking me to go back to Bulgaria. She said needed me to be there with her. I couldn’t go at that moment, but I realized how important it was to me to be close to my child. Soon after that, one day in December, in Italy at my workplace there was a fire. I had heavy burnings, and I was taken to a plastic surgery hospital in Piza, Italy, with a risk for my life. The only thing I could think of at that moment was my daughter and that she needs me. 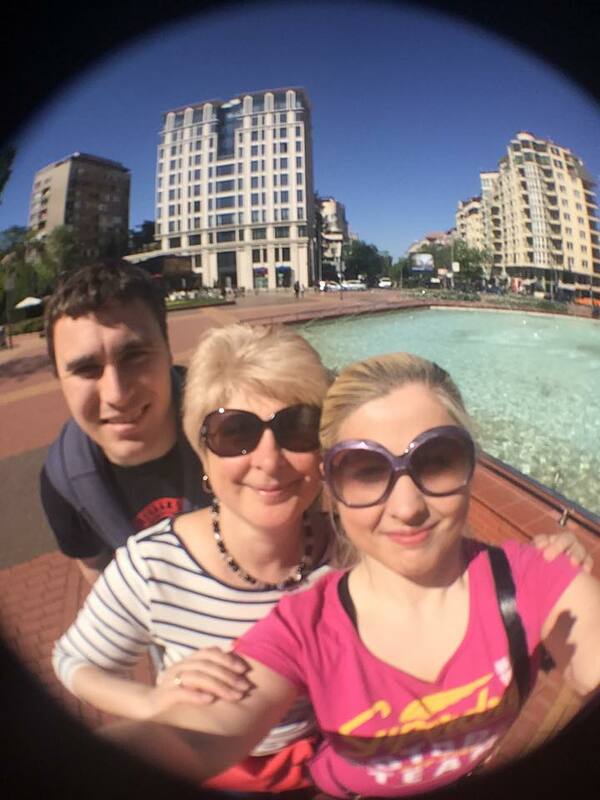 My only thought was that I need to go back to Bulgaria and help my daughter achieve her dreams. After many manipulations and 2 plastic surgeries, I could successfully go home in Bulgaria, right before New Year’s Eve. After my full recovery, in April, I went to a course for accountants. I got a license and started working as an accountant. Meanwhile, I started learning the stories of successful people and leaders. I started making new habits, I read lots of books and studied how I can grow and be happier and fulfilled in my life. All that helped me to support my daughter in her dreams and goals. 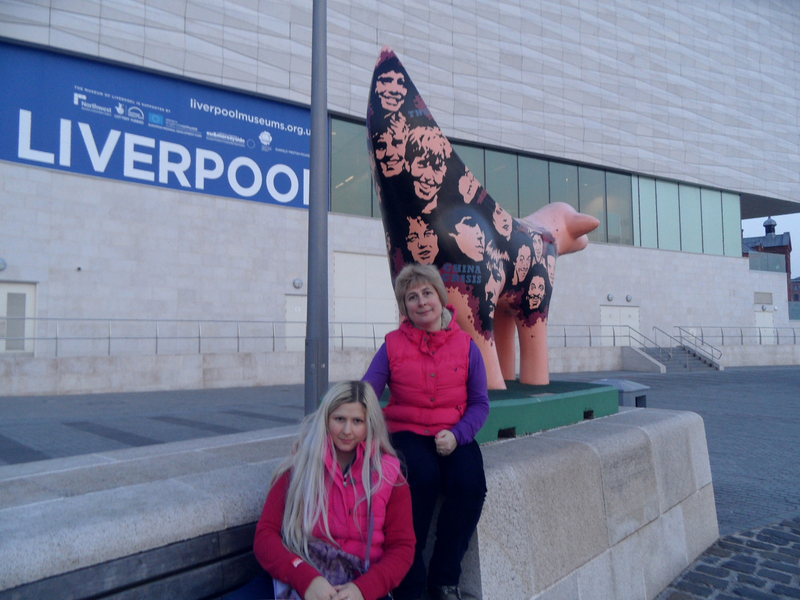 She graduated high school and she was admitted to study in England – Business and Law in the University of Liverpool. Through all these years, I believed unconditionally in the success and dreams of my daughter, no matter how absurd they might have sounded. During that time, I had my books and was inspired by the stories of the leaders and big teachers. They helped me to give the best advice to my daughter, so that she could get what she desired. After graduating the university, she started a job in a bank in England. Then she started creating her own business. At the moment she is a successful leader, she has her own international business and she is very happy. And this quote lit some spark inside of me. I realized that I can give something to the world and leave a trail behind me. The knowledge that I built during the years. If with my experience I can help other corporate mothers like me, to raise confident and happy children, then I will have achieved my life purpose. This is how the idea of Successful Start was first born. I started coaching mothers and created workshops and events for children. 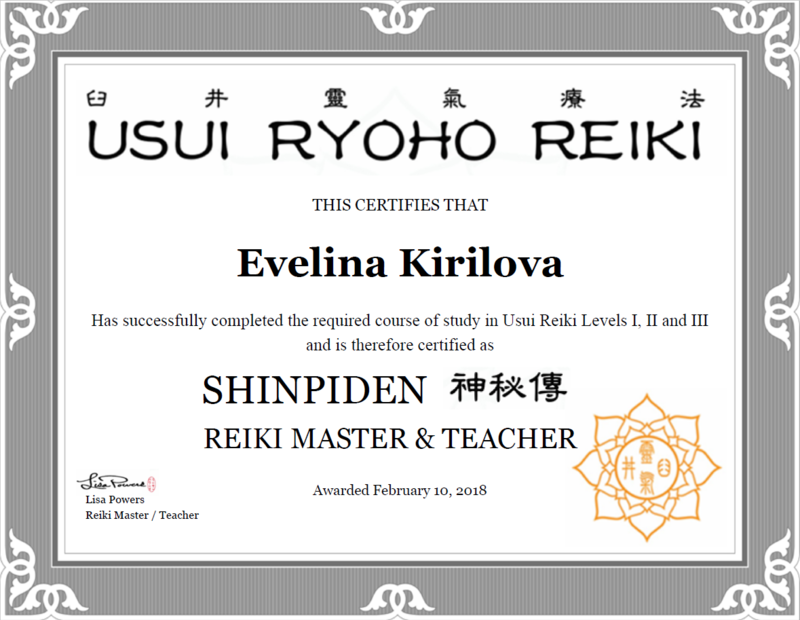 Reiki was offered to me several times through the years by different people, but I was skeptical about it and did not pay much attention. Until my mother got sick and the only thing that doctors could recommend was surgery. My mother, however, deeply believed that she would not survive that surgery. At this moment I knew that if I truly want something, with all my heart and I am filled with love, the Universe will give it to me. This is how the Universe started helping me. My mother was almost fully paralyzed after that incident and the doctors said that the only option was surgery. But when I saw how strongly she believed she would not survive the surgery, I started looking for unconventional medicine options. Soon after that I received an invitation for a Reiki presentation. This time I decided to check what it is about. When I heard the information for the Cosmic energy that can help you naturally heal yourself and others, I was inspired and I decided to try it right away. I got a Level one initiation. I thought that would be all I need. However, nearly a month after that I saw wonderful results and decided to get Level 2. So I was initiated and I was able to help others even distantly. 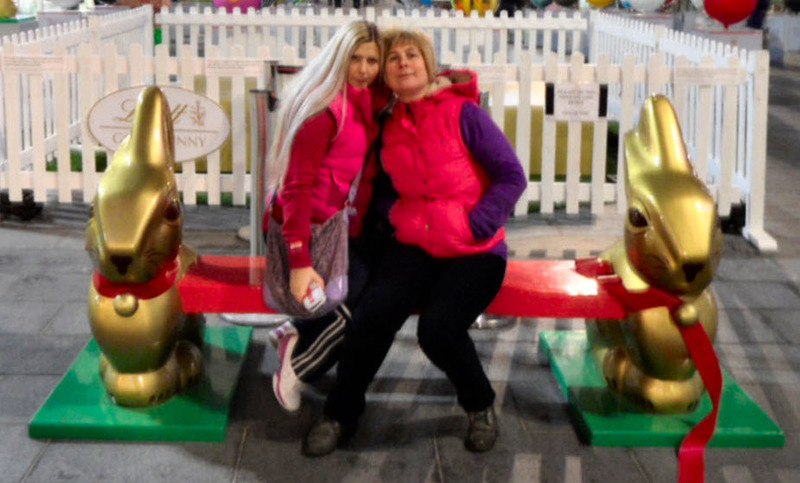 I wanted to be able to positively influence my daughter, who lives abroad. But friends and different people started asking me for help, too. I started helping them and literally couldn’t believe what miracles were happening to them. One day during meditation, I saw my new teacher – a teacher who had a Reiki center in my city. In that meditation he gave me some valuable information for myself. I knew I had to call him. So I called him and went to his Reiki center. I told him my story and that I was ready to get my Masters level. 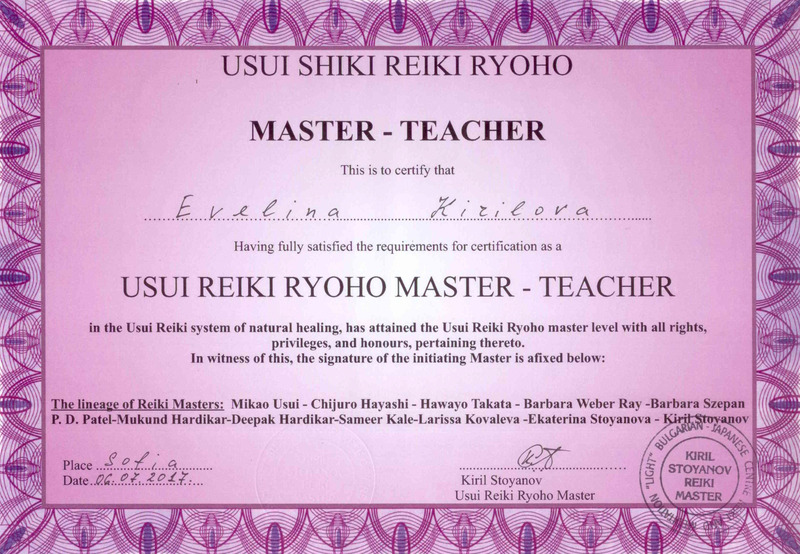 This day he gave me my Master Reiki level, and I became a Master Reiki teacher. Since then, my life is dedicated to helping others. Because to me true happiness is to see the results that others get in their lives. Thanks to Reiki I am healthy, I freed myself from the negativity around me, I got rid of many fears, increased my intuition, and I feel protected and full of energy. My mother is now 83 and improved her health a lot without surgery. I helped many people around me to heal from different health problems. Hooponopono is another system that I have been practicing for several years. It can help you clean your subconsciousness and raise your vibration, so that you can manifest anything you want in your life. One day I decided to try it for freeing myself from a debt I had – around $1000 – to the national administration. This is quite a big amount in Bulgaria. I started saying to myself: I am sorry, Please forgive me, I am free from my debt, I love you, Thank you. And suddenly I received a call and then an email from the National Revenue Agency. They told me that I just need to file a document to fix my debt, because there was some technical mistake and I don’t actually owe this amount. This is how I got rid of my debt and I started using Hooponopono daily. It can really create miracles in our lives.